Drawing from its most popular AM97 colorway, Nike recently gave its Air Max 95 Ultra SE a “Silver Bullet”-inspired makeover. The latest iteration of the updated AM95 sports tones of grey on its rip-stop and nylon paneled upper. Bringing a greater focus on branding, a “NIKE” full print breaks up the dynamic layers found on the shoe. Rounding up the designs of the shoe is a white midsole complete with visible grey Air pockets and a matching rubber outsole. 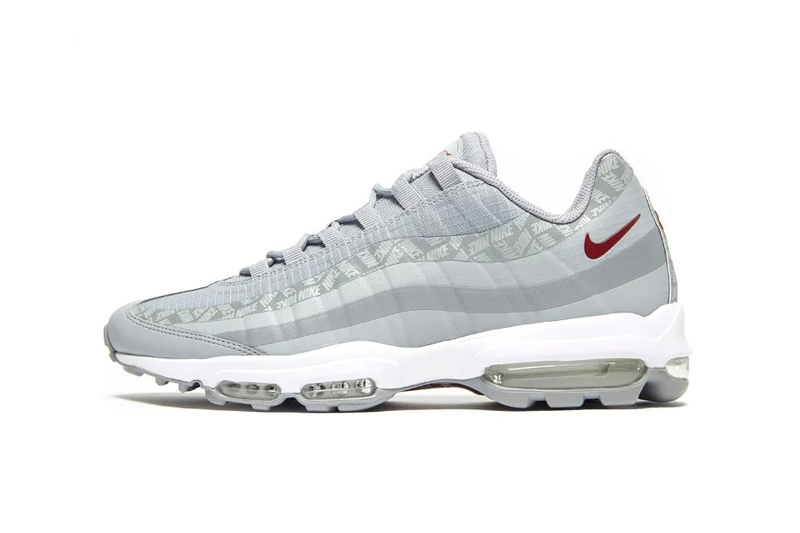 Priced at £130 (approximately $172 USD), the Nike Air Max 95 Ultra SE “Silver Bullet” is available now at JD Sports. In case you missed it, Nike’s Air Max Deluxe recently received a “Volt/Habanero Red” makeover.